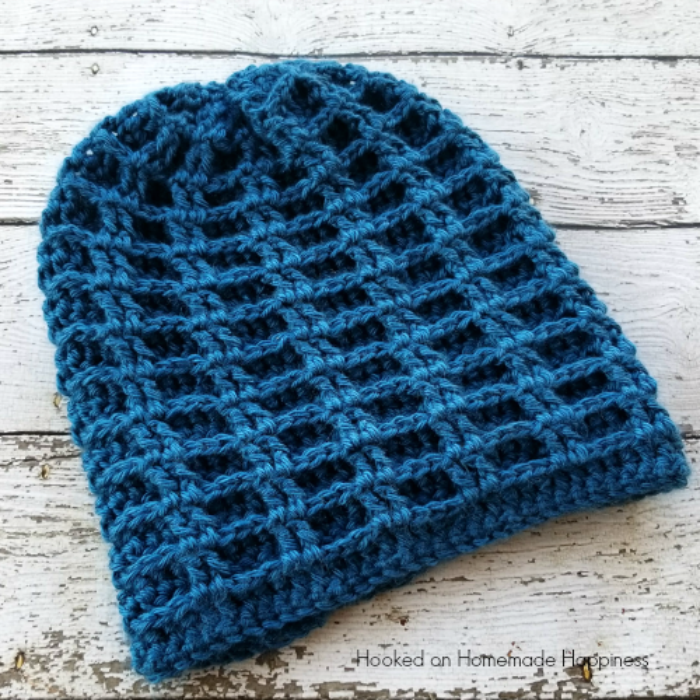 As soon as I saw the Double Waffle Stitch I was IN LOVE and knew I wanted to make this Double Waffle Slouchy Beanie Crochet Pattern. 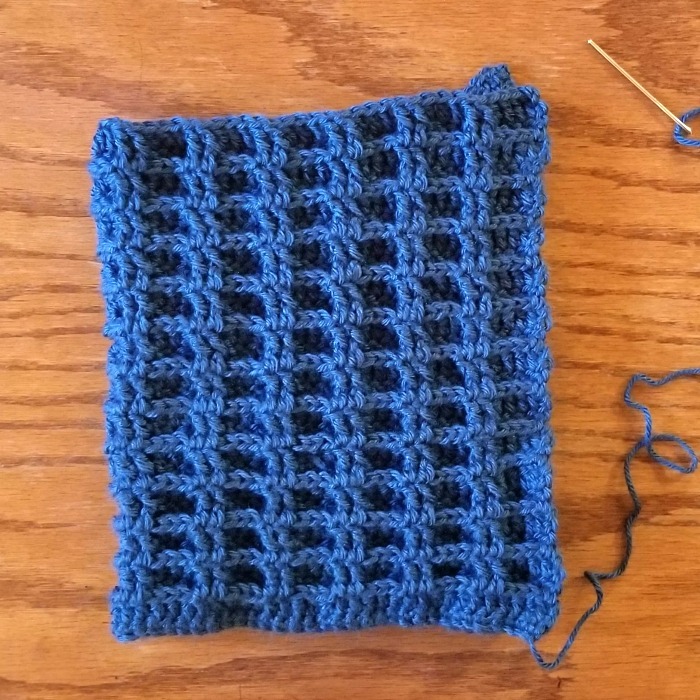 The texture in this stitch is so amazing. The stitch tutorial is from The Unraveled Mitten. 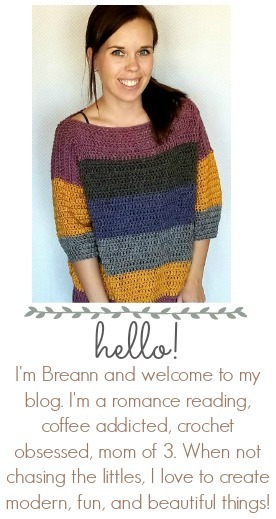 In this blog post I’ll show how I used her tutorial to make this hat. 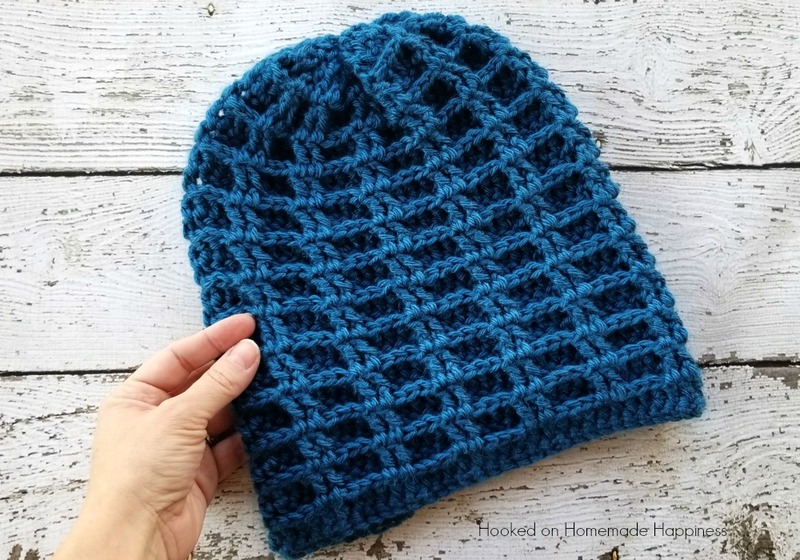 I think this stitch looks awesome as a beanie! It has just a bit of slouch, but can easily be made shorter. 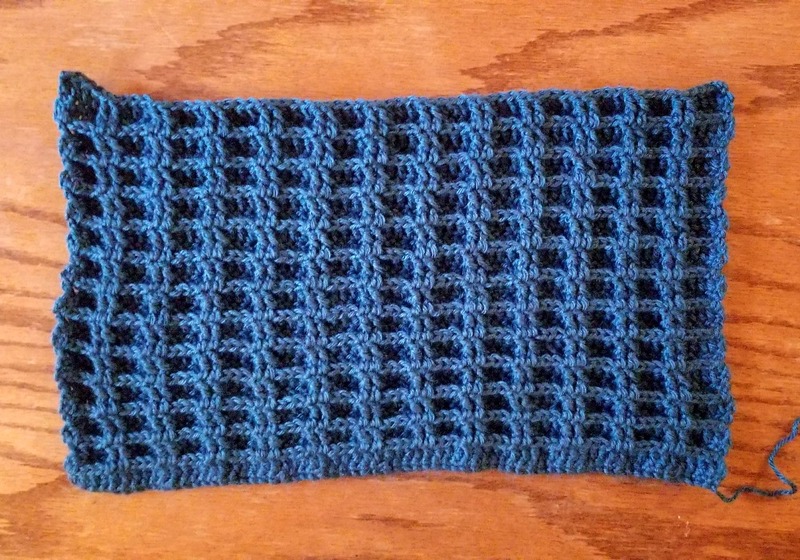 The beanie is worked from the bottom up, in back and forth rows, and then sewn together. Leave a long tail for sewing, fasten off. Weave the long end in and out of the tops of the last row. Pull yarn to cinch the top closed. Sew the top securely closed. Fasten off, weave in the ends. Maybe I’m missing something but I don’t see row 3? Am I just blind tonight? If I am sorry! Are rows 2 &3 alternating? Oh I understand now. Sorry! 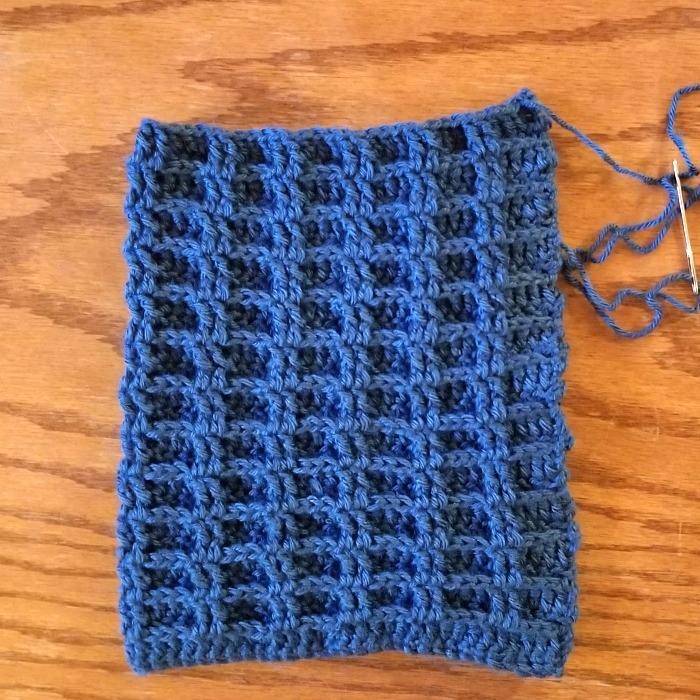 I click the link and follow the waffle stitch tutorial then do row 2 again. Lol.